Last week, Trinidad & Tobago had its annual carnival celebration, the world renown party that pays tribute to Trinidadian heritage. Attended by travelers from all over the globe, the carnival celebration is the most popular in the world and second to none. Last September I visited the famed country to see for myself the history and culture that makes up Trinidad & Tobago. The country is a surreal blend of several cultures and elements of Spanish, British, Chinese, French and Indian cultures permeate the island giving the visitor a sense of enchantment unique to Trinidad. The food is something to be had and I indulged in as much as I could during my brief stay. I certainly will return to Trinidad one day and hope to see carnival in person and experience first hand the biggest and best carnival celebration. 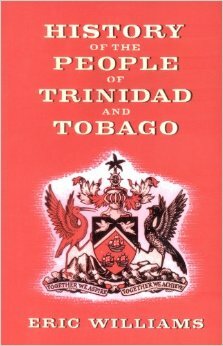 Eric Williams, the first prime minister of Trinidad & Tobago from 1962 to 1981, brings to us this investigative account of the history of the mythical and unique nation. Tracing its origins back to the voyages of Christopher Columbus, the reader can see first had how the foundation for the modern-day nation was laid through occupation, invasion, colonization and finally independence on August 31, 1962. As someone who has close friends from the small Caribbean nation and a late relative born in Port of Spain, the information in this book combined with my visit to the island, proved to be an invaluable experience in understanding its deep and sometimes violent history. Recently, Trinidad has seen a rise in violent crimes as the police force struggles to maintain composure and control in the face of corruption and escalating drug wars between rival factions across the island. Still a major tourist destination, especially during carnival, the government faces a growing problem without a clear solution. It is hoped that change will occur and heal the island from the afflictions that currently plague the country. For anyone interested in the history of Trinidad & Tobago or those who are of Trinidadian heritage looking to learn more about the country they call home, this book is a good place to start. Posted on February 15, 2016, in Historical Account and tagged Trinidad & Tobago. Bookmark the permalink. Leave a comment.